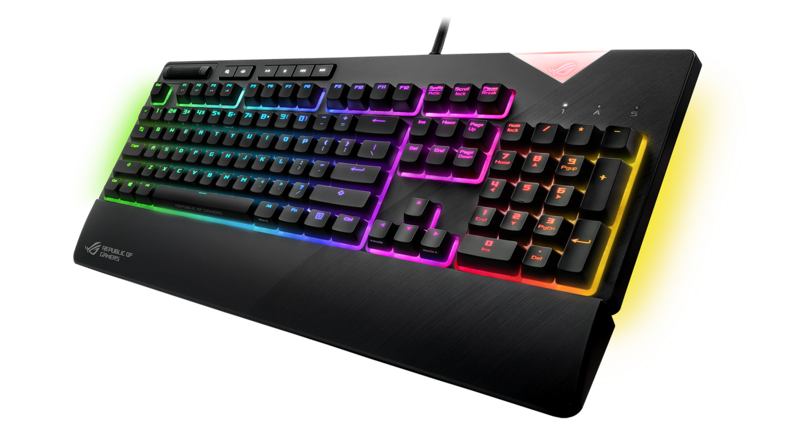 Anticipate a whole new slate of gaming gears from ASUS ROG after CES! Look at all that (gaming) candy! The first big tech and gadget show, the Consumer Electronics Show (CES) just concluded in Las Vegas last week. 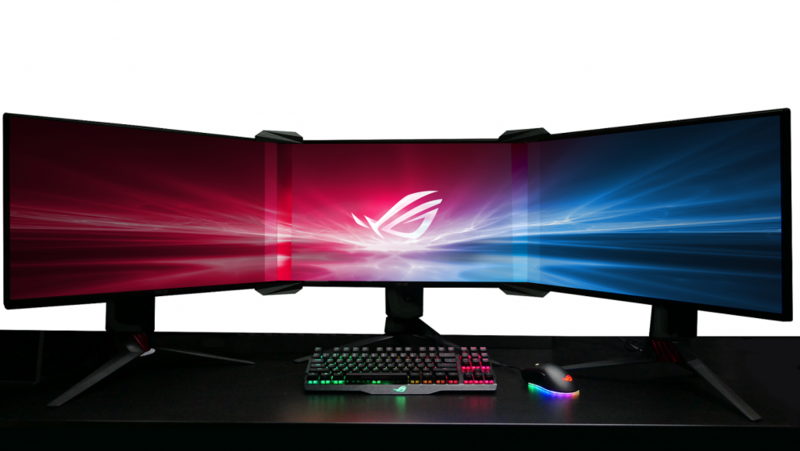 With that, ASUS, the Taiwan tech giant that has been steadily gaining a serious following from gamers and gearheads alike, has showcased a handful of new toys for us to eventually play around with as the months pass by. While we’re sure there will be much more as Computex and other gaming gadget-related events occurs, what ASUS ROG showcased during CES 2018 can be summed up with one word: integration. In 2018, ASUS ROG wants to help budding gamers to craft a cohesive gaming rig setup (and a full-fledged love for the brand). First on the list is the ASUS ROG STRIX FLARE. ROG Strix Flare is an RGB mechanical gaming keyboard that includes Cherry MX switches. Cherry, one of the most popular type of keyboard switches, allows for accurate and reliable keystrokes while providing durability for your all night gaming sessions. 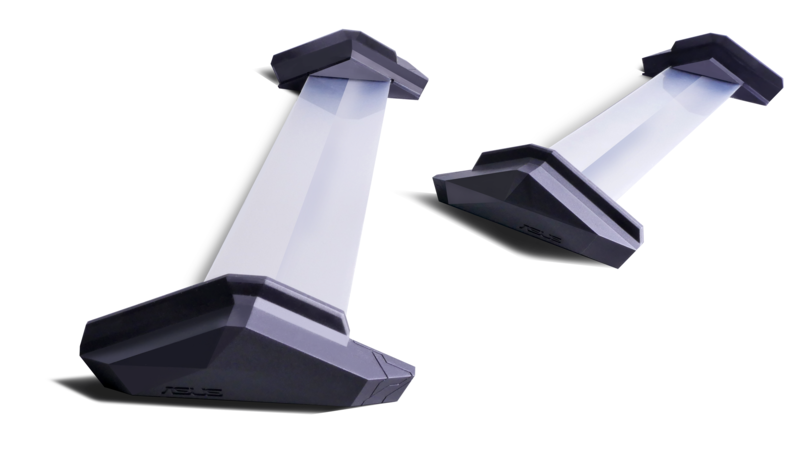 For even more RGB, not only can you customize individual keys using the Aura Sync program, there’s even LED mood lights on the sides to create an underglow effect to complete the look of your battlestation. In the mood for some mood lighting in your room? ROG Aura Terminal has your back. Featuring a quad-channel addressable RGB controller, the ROG Aura Terminal is an innovative way to quickly and easily set up mood lighting for your PC. Just hook up four LED strips to the back of your monitor, and the ROG Aura Terminal using the ROG Halo program automatically detects the colors displayed at the edges, creating an impressive and dynamic halo of lighting around your monitor. Want that ultrawide experience but don’t have the budget? Tired of immersion-breaking bezels while playing American Truck Simulator? The Bezel-free Kit is the answer. As the name implies, it’s a revolutionary technology from ASUS that eliminates the bezels from your tri-monitor set up to provide an immersive gaming experience. Using PMMA lenses, the kit refracts light from the edges of your monitors, continuing the image onto the next. While it isn’t perfect, it’s still less distracting than two black bars with a traditional tri-monitor set-up. 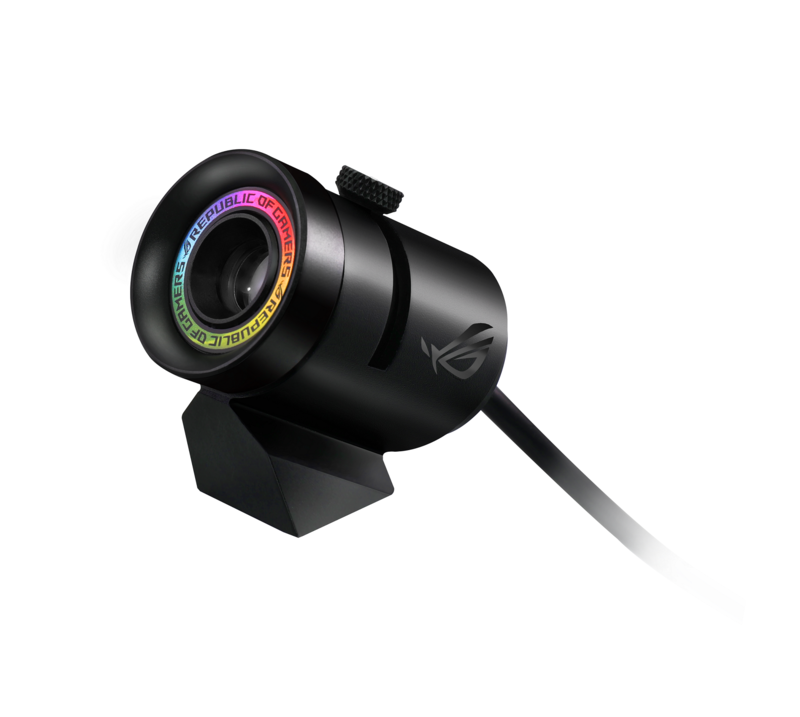 The ROG Spotlight is a nifty little RGB lighting accessory for when you want to go balls to the walls ASUS ROG, literally. It’s basically an ROG logo projector that can synchronize with your other ASUS RGB devices using Aura Sync, completing the whole ROG look for your ROG battlestation. In 2017, the ROG Aura Sync wasn’t just available for ASUS ROG-branded hardware but by creating the AURA SDK Program, ASUS ROG was able to share the tech and programming behind this to various partner brands so that they can craft complementary hardware that will sync in unison with ASUS’s proprietary RGB lighting system. 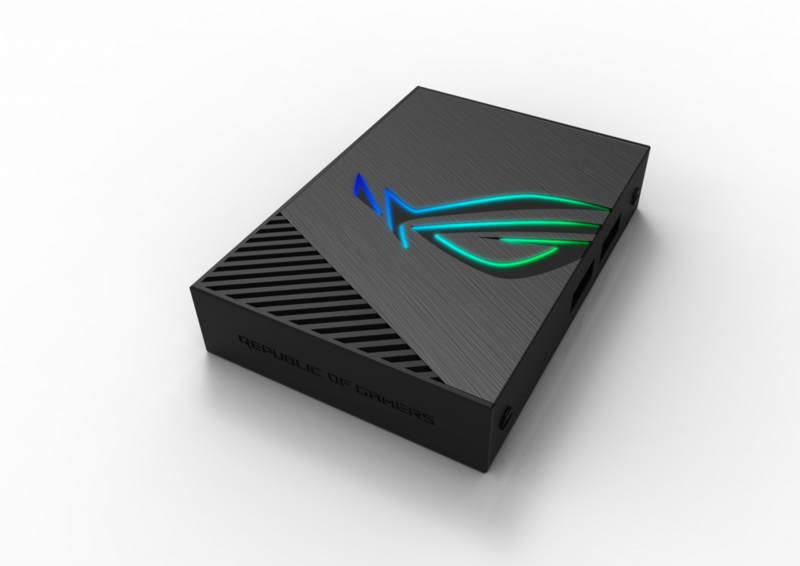 At CES 2018, ASUS ROG announced that it was expanding its AURA SDK Program to involve more software and hardware developers to create integrated materials with the ASUS AURA SYNC. In fact, Cooler Master and Tobii, the world leader in eye tracking, created a demo using the AURA SDK that SDK that is designed to enhance gaming experiences with lighting effects that provide real-time visual feedback to in-game events, such as color cues to identify allies and enemies, and alert flashes to indicate incoming attacks. Neat. We’re sure more brands would follow suit in 2018. There are now more ways to pimp out your battlestation, and even more ways to show your ASUS ROG pride. While we still don’t have the products on hand, we’re quite excited to see them in action in all their RGB glory. Previous articleDetective Pikachu 3DS Game Launches This March! Next articleFatal Females Take the Spotlight as SNK Heroines: Tag Team Frenzy Debuts on the PS4 and Switch!